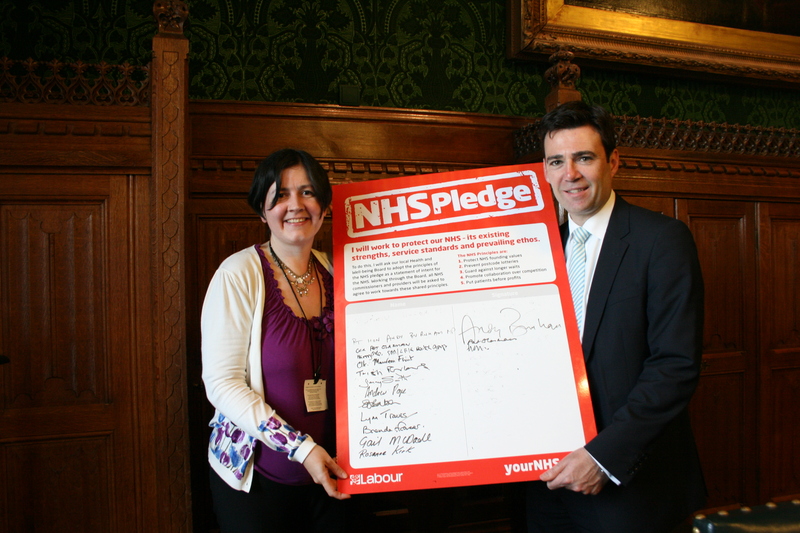 On Tuesday the 10th July I attended the Labour Party launch of the NHS Pledge in the Gladstone room in Parliament. Many Councillors were there from all over England to be at the launch, to be part of the NHS pledge. The Shadow Cabinet Health team spoke to Councillors and answered any questions that we had about the launch. Andy Burnham MP , Labour’s Shadow Health Secretary spoke about the challenges the NHS is facing due to the Health and Social Act that was passed earlier this year. “I fully support the launch of the NHS Pledge today at Westminster as it will offer a last line of defence for our local health service. I will ask our NHS Wellbeing board in Lincolnshire to adopt five principles to protect the NHS from the worst that David Cameron throws at it. Labour locally will not sit back and wait for things to go wrong in our NHS – it is far too important for that.